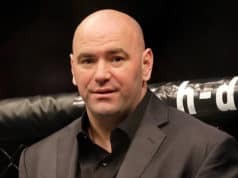 What was left of the attention in MMA was mainly fixated on last night’s (Fri., September 22, 2017) UFC Fight Night 117 from the Saitama Super Arena in Saitama, Japan, but a rising female fighter quietly kept making a name for herself with a second consecutive first-round KO. Perhaps it wasn’t so quiet on second thought, as undefeated flyweight Sabina Mazo became the talk of the internet with a vicious head kick KO of Linsey Williams at last night’s Legacy Fighting Alliance (LFA) 23 from Louisiana. The knockout cames on the heels of her last fight at LFA 9 last April, where she also scored a first-round head kick knockout of Jamie Thornton, becoming a viral sensation for the first time.